It’s been a busy year for Brandon and Bethany Foote. On top of both enduring job changes, relocating from Lansing to Kalamazoo and biding just about all of their spare time chasing around a toddler, the couple also managed to find a few moments to release their third album together as the folk duo Gifts or Creatures. Released Sept. 22 on the Earthwork label, “Fair Mitten: New Songs of the Historic Great Lakes Basin” is a follow-up to 2010 debut, “Pilot House,” and 2013’s “Yesteryear Western Darkness.” The LP (available on vinyl and CD, as well as in digital formats), as the title suggests, speaks heavily to the history and landscape of the Great Lakes State. One needn’t be a Michigander, though, to appreciate songs such as “Pontiac’s Rebellion,” “Two Hearts (Two Peninsulas),” “Fort Dearborn Massacre,” “Grand Rapids Brakeman” or “Trapping or Trading,” all of which cast the region in a nostalgic and poetic light. Engineered by Ian Gorman at La Luna Recording in Kalamazoo, the couple — who cut the album with Seth Bernard on guitar, Max Lockwood (Big Dudee Roo, May Erlewine) on bass and Dan Rickabus (The Crane Wives) on drums — was in and out of the studio numerous times over the past three years. The 10 songs that made their way onto “Fair Mitten” all wax in one way or another about the Great Lakes State, offering up perhaps the first start-to-finish take on the state since Great Lakes Myth Society’s self-titled 2005 release or Sufjan Stevens’ “Michigan: Greetings from the Great Lake State” in 2003. 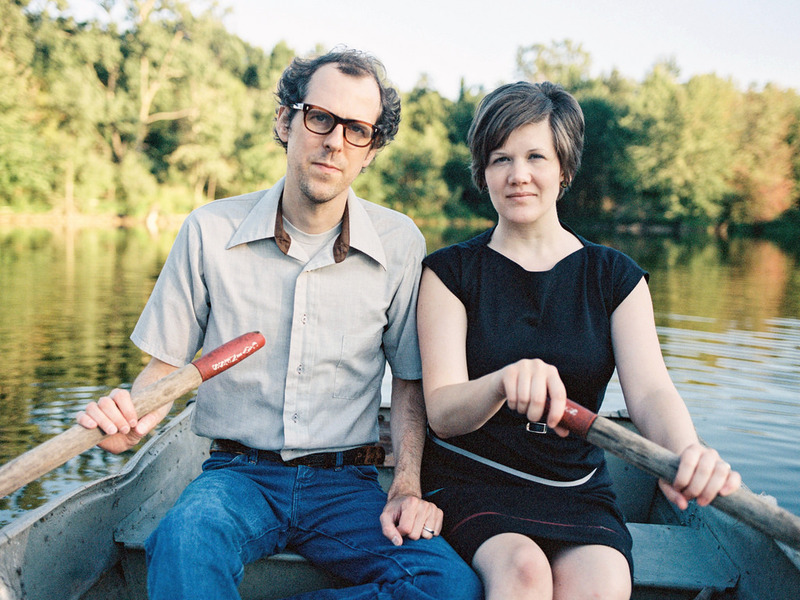 And while the trail through Michigan’s backwoods and past centuries may have already been blazed on complete works by other folk artists before them, it was a lifelong love and appreciation for the lakes and woods of the two peninsulas that led Brandon, the duo’s lyricst, to pen an album that paid homage to his home state. As part of the process, the two also spent time with state archivist Mark Harvey at the Michigan History Center in Lansing, looking at different maps, old photos and, as Brandon put it, just being inspired by historical artifacts and pieces that tell the story of the region. 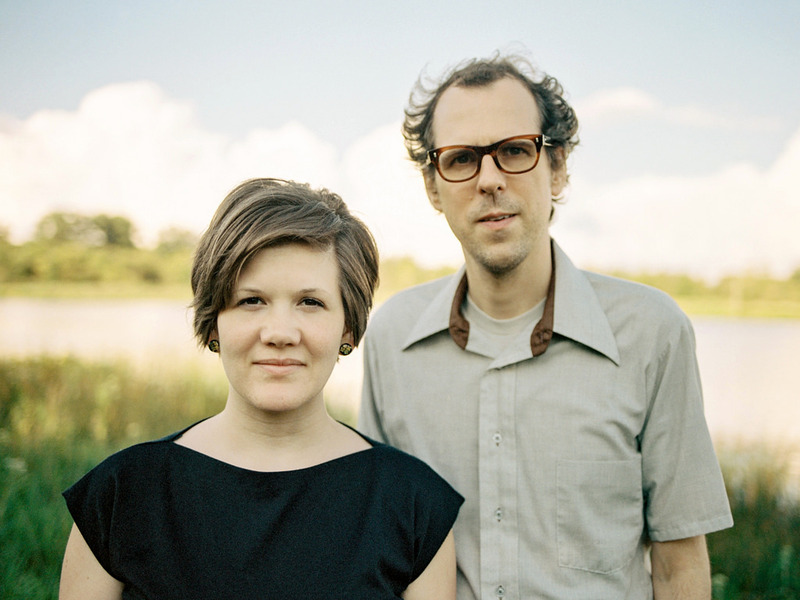 Having already played gigs touting Fair Mitten in Lansing and Petoskey, the couple will make the next stop on their six-show Michigan tour in their new hometown of Kalamazoo this Saturday at Rootead. Also performing at Rootead Saturday will be fellow folkster and Earthwork musician Brian Koenigsknecht and Thunderbolt & Lightfoot, featuring Phil Barry (Knee Deep Shag, Corn Fed Girls) on guitar and vocals and Sarah Fuerst (Corn Fed Girls) on vocals. Admission is $10; get more information online here. After that, Gifts or Creatures heads to Grand Rapids for the Lamp Light Music Festival on Nov. 4, with stops in Ann Arbor and Ferndale rounding out the tour.